About us, about cats, their food and how our products can help. Hello. Here at The Honest Cat Food Company we bring together products that help make it possible for your cat to live the life of a true predator. Every domestic cat deserves food that meets their strict nutritional requirements and toys that give them the best outlet for all that energy and to satisfy the predatory cycle to Hunt, Catch + Kill. I'm Tim and I started the company to enhance and enrich the welfare of domestic cats here in the UK. Hunting and eating a meat-protein-only diet is as good as it gets for a wild cat, and I wanted to collaborate with producers that allow you to facilitate these practices as closely as possible for your cat. Quality high meat-content foods from Germany that fully disclose their REAL, beneficial ingredients and contain no grains and no added sugars, salt or preservatives alongside prey-like toys handmade in the UK offer real opportunities to improve quality of life for your cat. 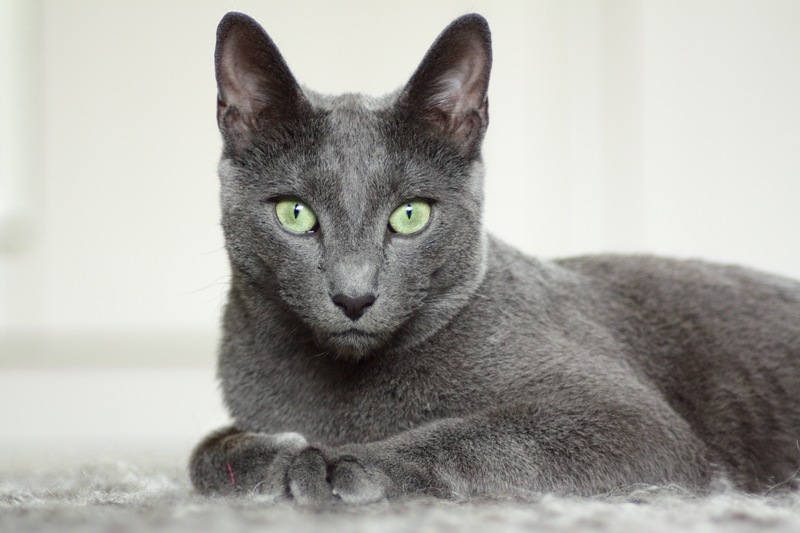 Our own Mr Finley, a young Russian Blue, has changed our lives since the day he arrived as a kitten and made us realise how important the correct nutrition, exercise and mental stimulation is to his long term health + well-being. I've always wanted to run a small, ethical company, and now I have Mr Finley to thank for the inspiration. Here he is when he arrived. 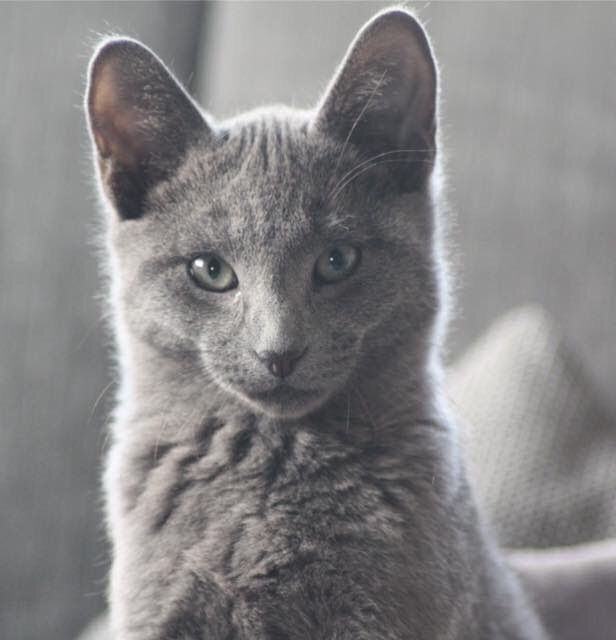 Now he's grown up and turned in to a real cat-heartbreaker. Cats are obligate carnivores. They need meat to survive. Learning more about their strict diet + physiological needs led me to discover that the food I wanted to give Mr Finley wasn't readily available. I had concerns over the ingredients labelling, or indeed lack of it, from UK brands and the long term health problems, such as obesity + feline diabetes from a poor, species-inappropriate diet. I contacted several companies to find out what exactly I would be feeding my cat with their foods and why they didn't declare it clearly on the packaging? Why did they add sugars to foods? Why didn't they declare muscle meat:offal ratios? What do cereals/grains/potatoes + vegetable protein have to do with the nutritional requirements of carnivores? I was met with corporate responses that skirted the issues I raised and they would not give me direct answers. I wasn't prepared to give Mr Finley food that I had no idea about its content so I started to look into other options (I had already ruled out a kibble based diet for reasons detailed on the nutrition + feeding guide pages). I considered feeding him a raw diet so I could be certain he was eating as nature intended as what could be better? Unfortunately, I don't have the time to prepare meals in this way on a daily basis, and I lack the freezer capacity to batch produce and store. I do ensure I give him raw food meals regularly as variety, and the gnawing on bones is very good for his dental health. Once I'd found a way to effectively and conveniently satisfy the nutritional needs of Mr Finley, and he is healthy, glossy + full of energy as a result, I started to think about how I could enrich his life as a house cat. He tested a lot of toys and we found that the Purrs Flying PurrSuit rod and attachments are superior in quality and in capturing their interest. The sights, sounds and textures of these high quality, durable and realistic handmade prey toys surpass anything we've seen and really hold his attention and keep him energetically and skilfully hunting. The natural materials used are ethically sourced in accordance with the Wildlife + Countryside Act 1981. The high energy play sessions these toys provide keep him mentally + physically stimulated, his weight in check and gives him the outlet he deserves to be a hunter. We hope your cat can benefit from these products the same way Mr Finley has. Feel free to get in touch with any questions or feedback and connect with us on Instagram, Facebook + Twitter. 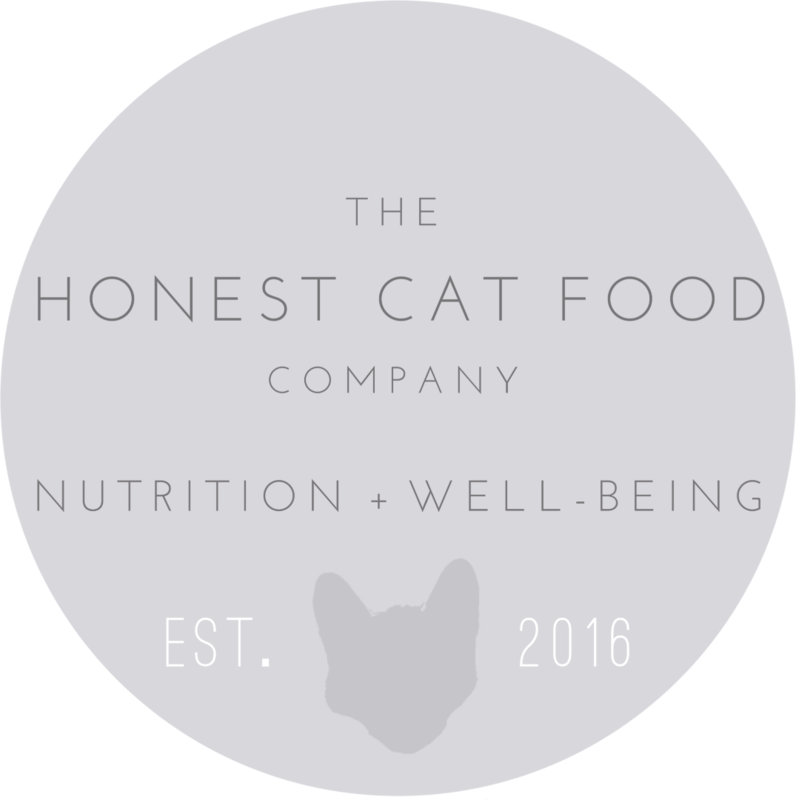 Thank you for enhancing your cat's nutrition + well-being with The Honest Cat Food Company.